If you think of sourdough as being time-consuming and involved, then think again. Seriously the dough takes less than ten minutes to whip up, and if you leave it to rise slowly in the fridge you can bake whenever it suits you. Once it’s out of the oven you will be rewarded with a moist loaf that is easily digested but will provide slow-release energy and wholesome nutrition. 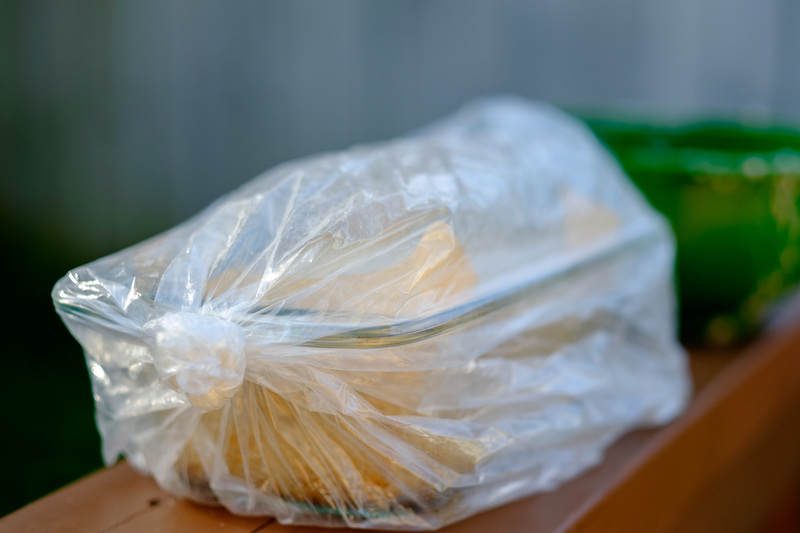 Tip #1: Leaving your dough to rise in a plastic bag ensures the surface doesn’t dry out. Especially handy when doing a long slow rise in the fridge. Combine sourdough starter and water and mix briefly, then add in all the other ingredients and stir to combine. The dough will be quite wet and sticky. Pour into an oiled or lined baking tin. Mist with water or cover with a damp tea towel to prevent the surface from drying out, and let the bread rise for 4-5 hours in a warm, draught-free spot. 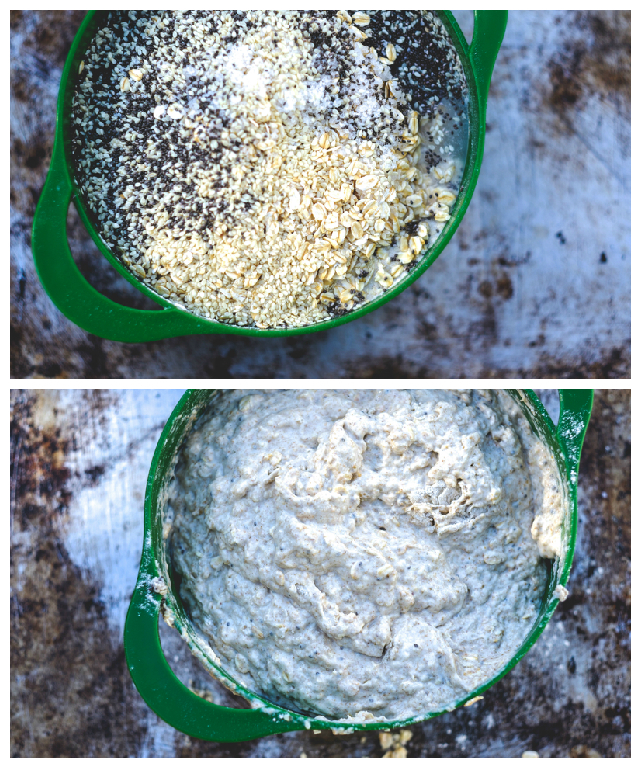 Alternatively, you can pop the dough into the fridge and let it ferment slowly for a couple of days, up to a week. 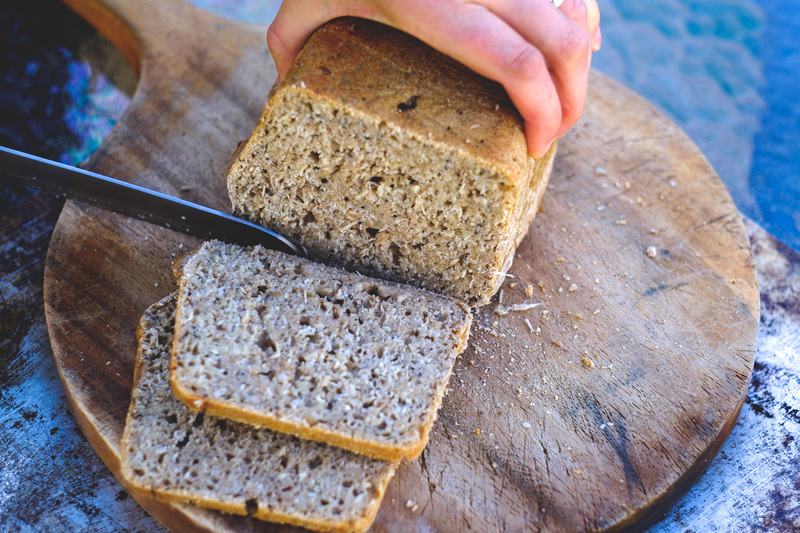 This will result in a tangier, but even more nutritious and digestible loaf, as the lactobacillus bacteria have had longer to break down the phytates, lectins and other hard to digest substances. Remove the dough from the fridge an hour before you intend to bake it. Preheat the oven to 180° C, and bake the loaf for an hour. The crust should be a golden brown colour. Test to see if the bread is done by tipping it out of the tin and tapping on the underside. If it doesn’t sound hollow, return to the oven for a further 10-20 minutes. Allow to cool before slicing. Adapted from a recipe by Nicola Galloway of Homegrown Kitchen. Tip #2: Did you know that slicing your bread in the direction that it has risen (ie turning it over to slice) makes life a whole lot easier? This is one of my favourite breads to toast, not dissimilar to a loaf of Vogels. Stores well at room temperature or pre-slice and freeze. Easy as!